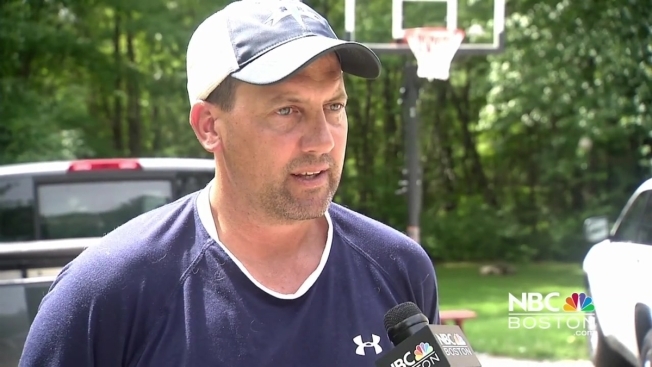 A New Hampshire Little League coach is speaking out for the first time after sparking controversy nationwide for a decision to break league rules. A New Hampshire Little League coach is speaking out for the first time after sparking controversy nationwide for a decision to break league rules and not give one of his players an at-bat during regional play in Connecticut on Friday. Coach Jeff O’Connell said maybe he didn't make the right decision, but he says the decision he made had nothing to do with winning and everything to do with protecting one of his players. The incident happened at the Little League World Series Regional tournament when the team from Goffstown, New Hampshire, trailed Maine by two runs with two outs in the bottom of the sixth. That’s when O’Connell was informed he still had one player who hadn’t gotten a mandatory at-bat. Little League rules require every child to play, but O’Connell decided not to play one of his kids, and even the commentators took issue with it. But O’Connell said his decision was actually in the best interest of his young player. “It had nothing to do with winning,” O’Connell said. In an interview you’ll only see on NBC Boston, O’Connell explains that the child did not want to get up to bat in the 5th inning, so then at the bottom of the 6th, with the game riding on the next batter, O’Connell decided it was far too much pressure to force that player to step up to the plate. “In my heart, I did not want to put him in a situation where I felt it might be worse,” O’Connell said. Coach O’Connell says that’s exactly what he’s doing. NBC Boston reached out to the child’s mother, but she declined to comment.